In this part of our Green Card Application Process, we tackle the employment-based green card. If you are the employer located in Montana, North Dakota or Wyoming, and want to sponsor an employee for permanent employment, we can help you. Please keep reading for more information, or contact us. Employment-based green cards, like family-based green cards, have preference categories. Unlike family-based immediate relative green cards, no employment category allows unlimited green cards for people wishing to become a permanent resident. Instead, the United States allocates visa numbers across five preference categories. First preference is for aliens of extraordinary ability. Second preference is for highly educated aliens with advanced degrees. Third preference is for aliens with a bachelor’s degree or substantial work experience. Fourth preference is for special immigrant visas. Fifth preference is for aliens creating employment in the United States through investment. Each category has different processing times. For as long as I can remember, the first category is always current; a visa is immediately available for foreign nationals wishing to become a permanent resident. In contrast, the third category only has a certain number of visas available and at one point had processing times of approximately seven years. In any event, the Visa Bulletin provides the wait times for all employment-based green card categories. Some of the preference categories listed above and discussed below require a labor certification. To that end, where the regulations specify a labor certification, the employer petitioning the foreign national must use the PERM process. Due to its complexity, we have a separate guide to the PERM process. For that reason, we provide a brief synopsis for those wishing to keep reading. In short, the employer must recruit for the position according to Department of Labor (DOL) specifications. This involves getting a prevailing wage from the DOL and then advertising using that wage. If no qualified applicants apply for the position, the employer may then submit an electronic request for a labor certification to DOL. DOL next must agree that the recruitment process met its specifications. Process To Get A Green Card is simple and easy. Finding compliance, DOL subsequently issues a labor certification. That certification establishes that no qualified US citizens are available to fill the vacancy. Now the petitioning employer includes the labor certification with the preference petition application. USCIS regulations recognize three ways to qualify for a first preference employment based green card. You, as the foreign national may qualify by demonstrating that you have exceptional ability in the sciences, arts, education, business or athletics. Guide To Immigration is there to help you with any doubts related to immigration services. You also qualify if you have evidence that you are an outstanding professor or researcher. Multinational managers or executives who meet employment requirements in or out of the US also qualify. In each of these cases the regulations exempt you or your petitioning employer from the need for an approved labor certification with the application. A Masters degree or above that you use in your employment qualifies you to the second preference category. For example, you may work as an engineer with a Masters degree in engineering. Your employer could petition the USCIS in the EB-2 second preference category citing the job and your education. An approved labor certification must go with an immigrant petition in this category. Different Types Of Us Visa has separate criteria set for everyone. The third preference category is unusual. It includes positions that require a bachelor’s degree as an educational requirement. But, it also provides that a job that requires only two years of experience also qualifies for the third preference category. Jobs that need only some experience, from two years down to zero experience, also fit into this category. Regardless of the experience or educational requirement, an EB-3 preference immigrant petition for an employment-based green card must include a labor certification. Occasionally Congress creates an exception to the normal preference category employment immigration. One such exception is sheepherders. An employer of a sheepherder may elect to treat the sheepherder as a third preference petition with limited experience as the only requirement. Alternatively, the employer may petition the USCIS without a labor certification. We discussed this anomaly in a guide dedicated to sheepherder green cards. An unusual collection of special exceptions constitute the fourth preference category, which is for special immigrant visas. This category has its own guide, special immigrant visas. Beyond that, because the category contains so many special cases, some of those are worthy of separate discussion, and have an article like the special immigrant religious worker visa. The fifth preference category only covers entrepreneurs that create employment in the United States through investment. An entrepreneur may make a direct investment by purchasing a business that qualifies. Alternatively, the investor may make an investment in a regional center that has qualifying projects that meet USCIS requirements. The importance of this investment immigration program means we cover it in detail in its own guide. Most employment-based green card processes involve three steps. The second and third preference categories constitute most of the immigrant petitions filing for employment-based green cards. In the first step the employer pursues a labor certification through the PERM process. If the preference category does not require a labor certification, the process devolves into two steps. During the second step, the United States Citizenship and Immigration Services (USCIS) checks to see whether the employer has enough funds to pay the prospective employee. USCIS also checks that the employee meets the employer’s requirements for the position. Based on the immigration laws, if the employer meets the burden, the USCIS approves the petition. In the third step, the employee applies for the immigrant visa. If the employee is in status and in the United States, the employee may request adjustment of status by filing an I485 application. 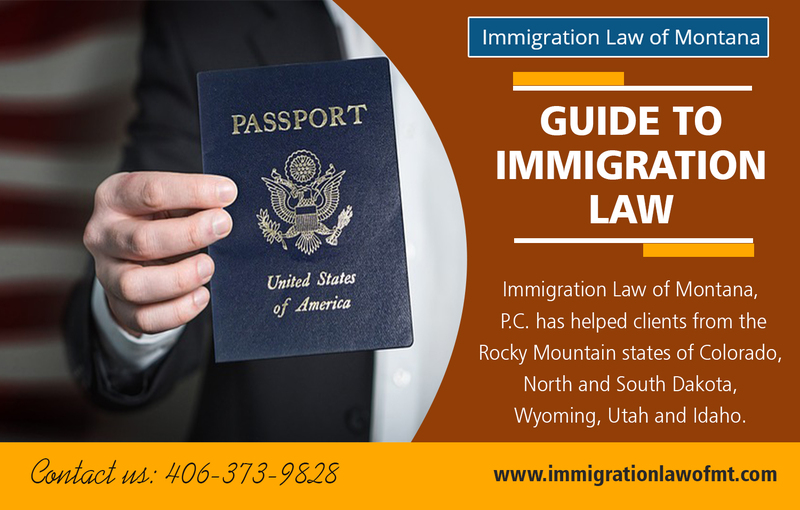 Alternatively, if the employee is not in the United States, he or she may consular process to obtain an immigrant visa and return to the United States. Once submitted to the United States, the employee can take up employment with the employer. Immigration Resource Guide can help an employer work through the entire employment-based green card process. Sometimes employers need an immigration attorney to help them understand whether starting the permanent processes is the correct step. Once the employer decides this is the right process, we are very familiar with all three steps of employment-based green card. If you would like to sponsor an employee, please contact us.